Another exciting season of Pakistan Super League (PSL) is just around the corner. The 2017 winners, Peshawar Zalmi will look to reclaim the silverware for the second time in the tournament’s history. The team will be captained by the two-time World T20 winning leader Darren Sammy. The veteran all-rounder has established a close bond with not only the franchise but also with people of Pakistan and his team’s victory in the final at the Gaddafi Stadium Lahore opened a gateway for the return of international cricket in the country. Over the first three seasons, Zalmi have proved their critics wrong time and again as they bounced back from situations when others had written them off. In 2018, Zalmi bounced back with four wins out of four to qualify for the playoffs and eventually went on to play Islamabad United in the final. Even though they lost the match but Zalmi gave United a run for their money when they took six wickets for 20 runs while defending a modest total of 149. With 19 wins out of 33 matches, Zalmi’s success percentage of 57.57 is the second-best only to United (59.37). 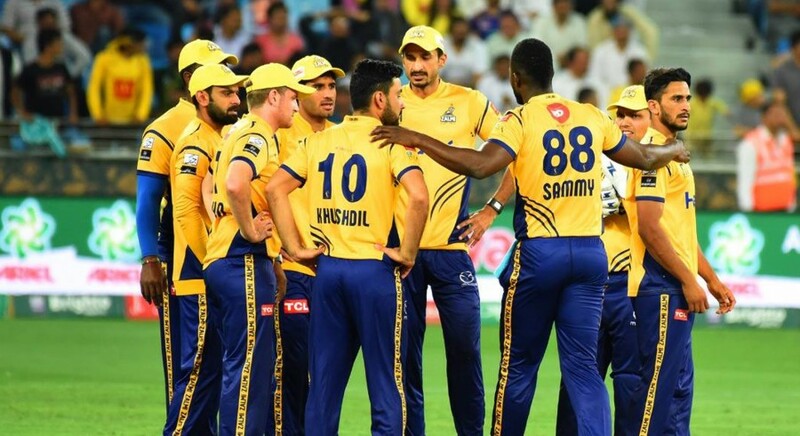 The blend of all-rounders like Sammy and Kieron Pollard, along with the presence of pacers like Wahab Riaz and Hasan Ali make Zalmi a worthy title contender this year as well. Vastly experienced wicketkeeper-batsman Karman Akmal is a luxury which many teams don't have in their lineup at the top of the order. Akmal is the leading run-scorer in tournament’s history with 929 runs at an average of 29.96 in 34 games and has shown time and again that he has the ability to change the game at any stage with his power hitting. On top of it, Akmal is also a brilliant player of spin, which makes him an even bigger asset for the franchise. Having Akmal, Dawid Malan and Liam Dawson at the top of the order and Sammy, Pollard in the lower-half, Zalmi have a batting lineup which can chase down any target against any bowling unit. On the bowling front, Zalmi have quite a lot of depth with the likes of Wahab, Hasan, Chris Jordan, Umaid Asif and Ibtisam Sheikh in the ranks, who can dismantle any batting lineup. Zalmi’s only weakness seems to be that they don’t have enough players who can play spin well. Despite securing the services of former Pakistan captain Misbahul Haq in the team — who hasn’t featured in a T20 game since the conclusion of the PSL season three — they could find themselves struggling against the turning deliveries as they don’t have players in the middle-order who can build an innings against top-quality spin-attack. Misbah too had a mixed domestic season this year, where hasn’t made any significant contribution with the bat. Therefore, depending on him to shine for the team throughout the tournament, that too at the twilight of his career, might become too big of a task for the 44-year-old. Wahab Riaz has been knocking on the door of selectors for quite a while now. He has been consistently performing in the limited-overs format around the globe, where he recently helped Comilla Victorians in lifting their second Bangladesh Premier League (BPL) title. Last year Riaz was the leading wicket-taker in the PSL and with the World Cup just around the corner, the 33-year-old might bring his A game on the table to increase his chances of taking part in the mega event in the summer. Darren Sammy has a vast experience of leading the side in the shortest format of the game. He led his nation to World T20 title twice in 2012 and 2016. He also led Zalmi to their maiden PSL triumph in 2017. As a captain, he has played several key innings for the team which included a match-winning knock against Quetta Gladiators with an injured leg. With his experience and ability to lead from the front, Sammy is surely an asset for Zalmi and the veteran all-rounder will be hoping to lead his side to their second title this time around. Overseas: Kieron Pollard (West Indies), Daren Sammy (West Indies), Liam Dawson (England), Dawid Malan (England), Wayne Madsen (England), Andre Fletcher (West Indies), Chris Jordan (England). Local: Wahab Riaz, Hasan Ali, Kamran Akmal, Misbahul Haq, Umar Amin, Umaid Asif, Khalid Usman, Sohaib Maqsood, Jamal Anwar, Sameen Gul, Nabi Gul, Ibtisam Sheikh, Samiullah.